Right now I use a powershell script to see the currently logged in users. But I don't see if their session is idle, active or inactive. I can see when the session was started, that's it. Is there an easy way to see how many users are currently logged in to the server I am logged in and see their status? It should not be remotely executed. I would like to avoid third party tools if possible. 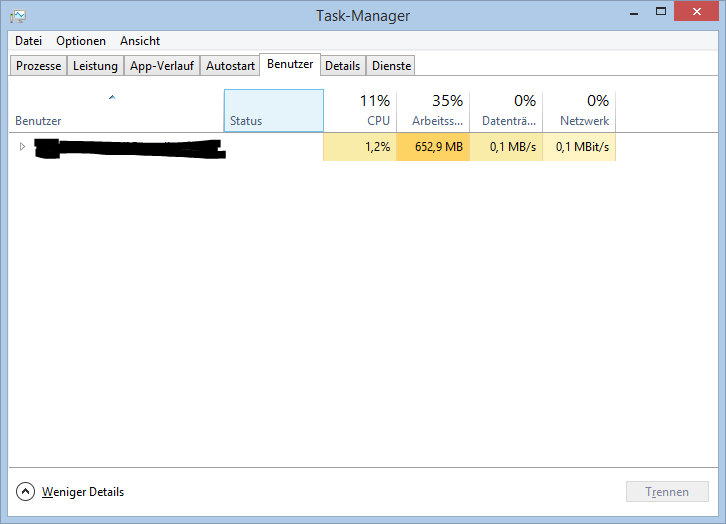 Open the Task-Manager and see the users tab. There you will find a list of users and their status. Also you can use the "UserLock" application to see which users logged in. By this 3rd party tool you can manage the session of the users as well as remote desktop sessions. It is a great tool in this case. I suggest you try this tool. Not the answer you're looking for? Browse other questions tagged windows-server-2012 user-management users user-accounts user-profile or ask your own question. What is the best way to address users storing and streaming music within your company? Parallel login to user account in Microsoft Active Directory is it good? Can I replicate Remote Control feature in Windows Server 2012 somehow? What is causing the Collateral damage when deleting old profiles?